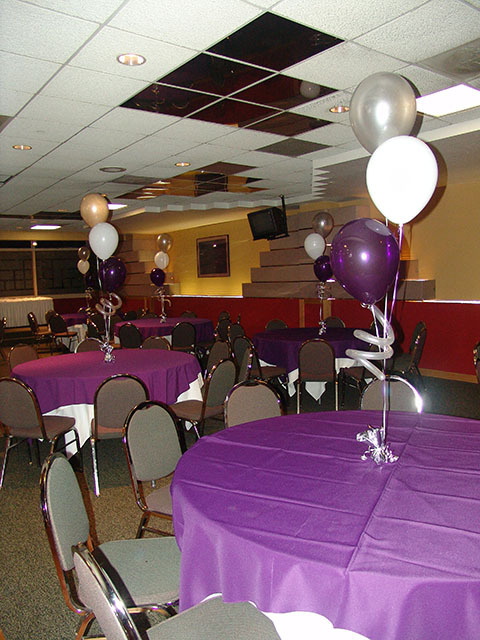 This birthday party was for a special lady who liked purple. 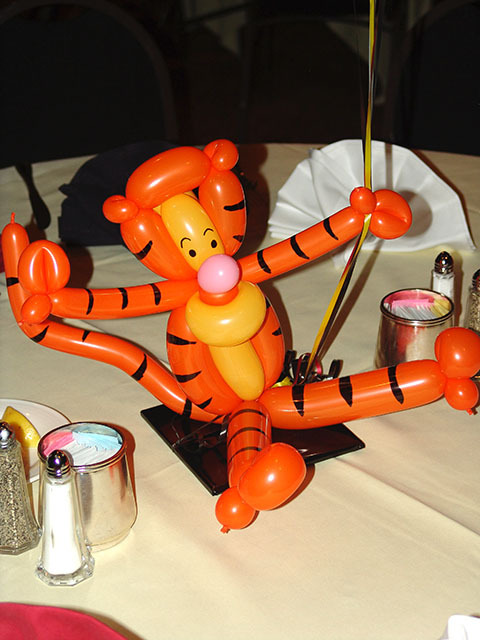 Do you have a favorite color? 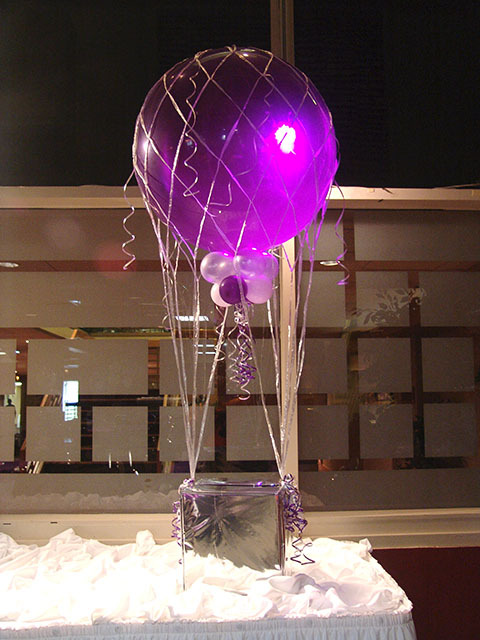 Contact us and let us bring your favorite color to your party! 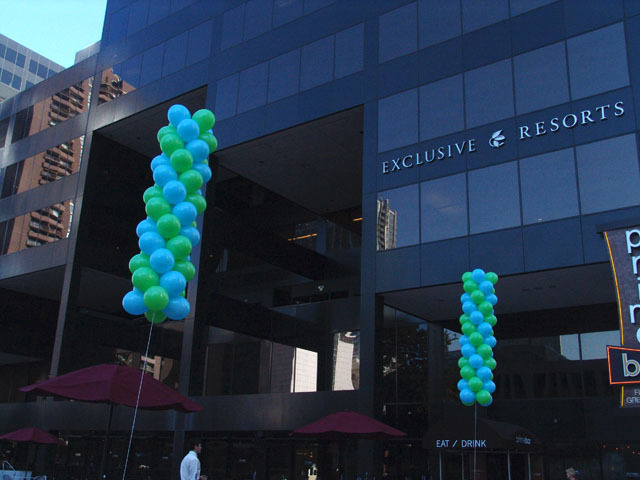 This week is employee appreciation week in downtown Denver. 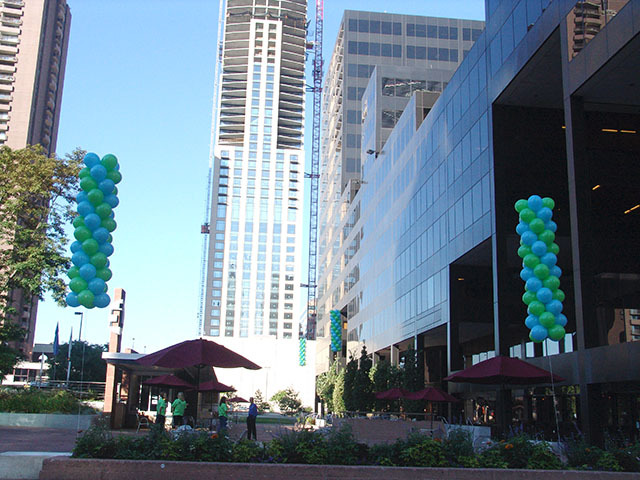 We brought attention to this with our floating balloon columns! 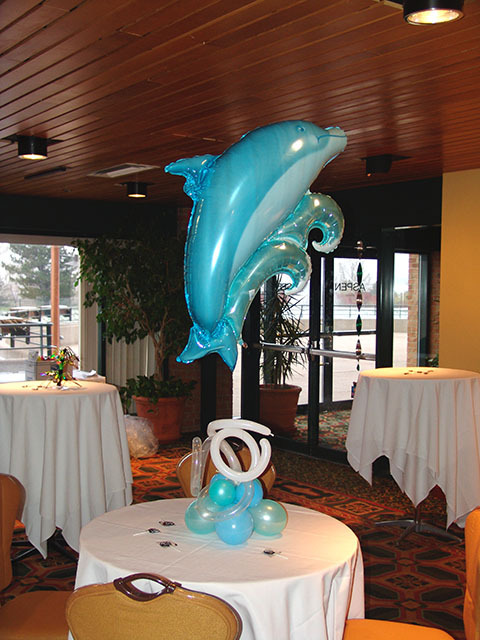 Dolphins were the unique theme of this party held at the Inverness Hotel in Denver. 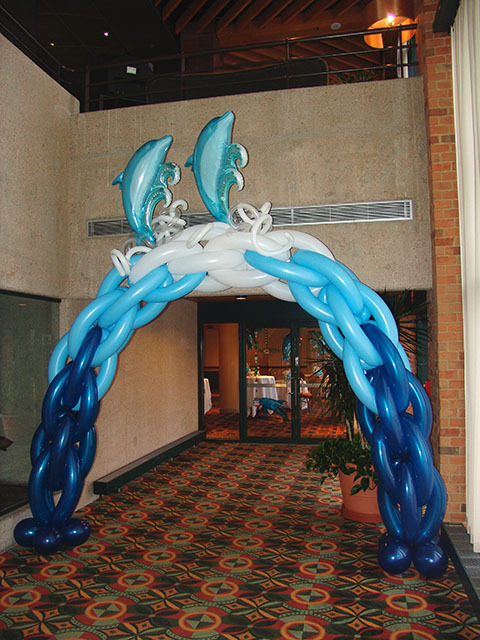 We created a custom dolphin balloon arch and dolphin balloon centerpieces that completed the decoration of the room. 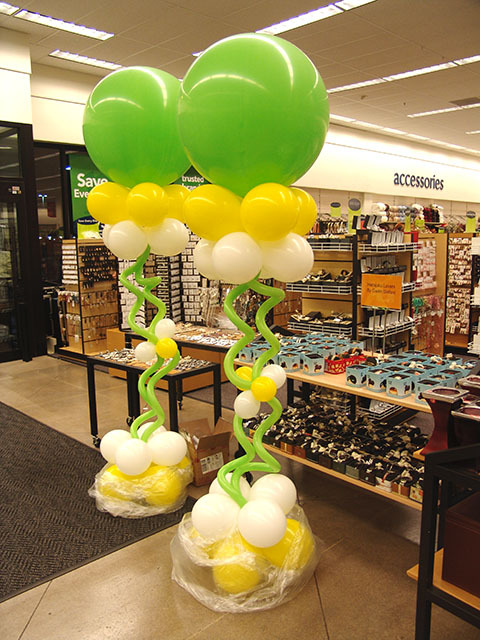 What do you get when you use our balloon kites and our fun & funky balloon columns? 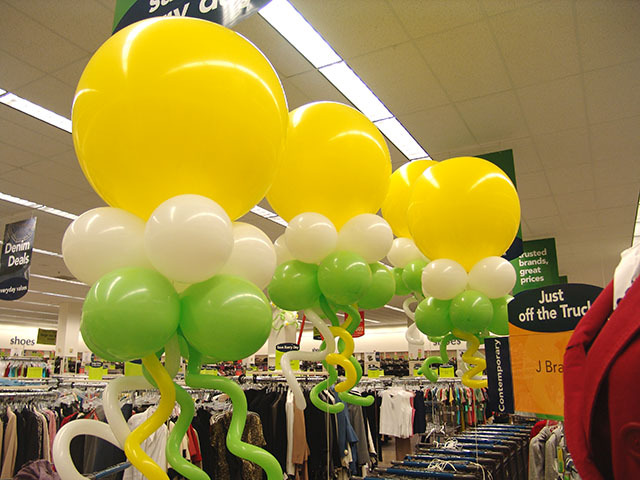 You get a ton of attention! 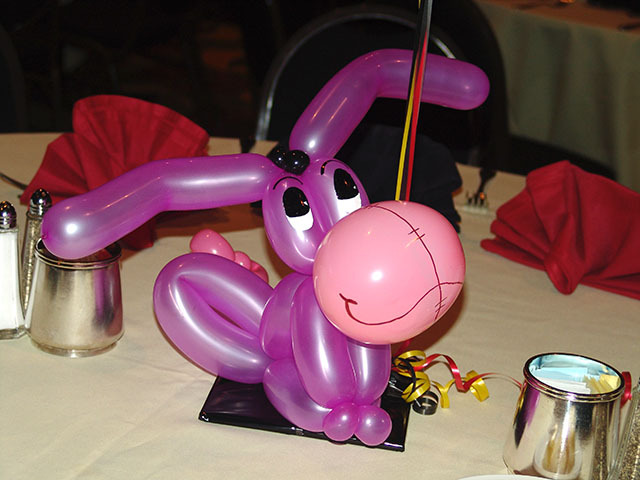 These balloon decorations are a great pop of color and dramatically usher all kinds of attention your way!